It’s day two of the Pac-12 tournament, and while we were sad to see Oregon State, Washington State, Stanford and what remains of USC go, the real tournament starts today. ASU 89, Stanford 88 OT — Despite some ridiculous late-game heroics from Stanford PG Aaron Bright (including an overtime-inducing four-point play in the final minute), ASU held on to win after leading the majority of the game. Colorado 74, Oregon State 68 — New logo, same stench. Oregon State, a.k.a. The Only Team in the Country With An Open Line to the President Thanks to Coach Craig Robinson Who is Also Michelle Obama’s Brother, might have had their logo updated (or whatever one would call this alteration), but they still played their game. The only problem is, their game involves losing by 5-7 points and allowing ridiculous half-time buzzer beaters. 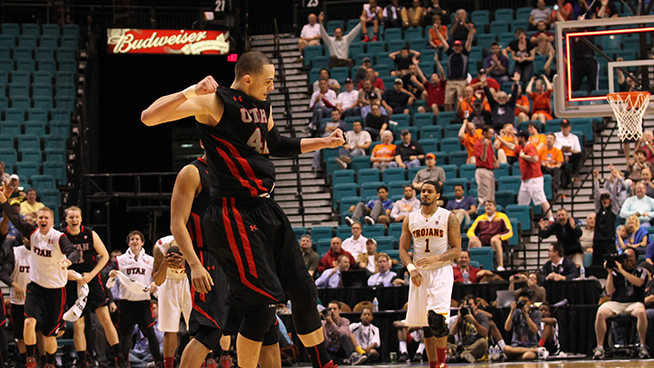 Utah 69, USC 66 — Utah jumped out to a big first half lead only to watch it crumble in the second half. Sound familiar football fans? Well it wasn’t. USC is still a bad program, with poor personnel management and Utah (also those things a lot of the time) managed to hold onto the lead. Whether this was on purpose is unclear. Washington 64, WSU 62 — Washington’s 11-point first half lead was enough to hold against in-state rival Washington State. In other news, Shawn Kemp, Jr. is still in the tournament, which is really a win for everyone involved. 3 for 4 never felt so wrong, however, as I picked my Alma-mater to lose before watching them pull off a totally predictable upset. Although, given the recent state of things inside the Huntsman Center, the Utes have ways to go to regain some trust. Enough personal revelry, here are the picks. #1 UCLA vs. #9 ASU — UCLA plays ASU at noon, or in other words, HAVE LUNCH WITH JAHII AND SHABAZZ. But seriously, Jahii Carson dropped 34 points on Stanford yesterday in ASU’s opening round win, and that’s significant for two reasons. First being a tiny little ball of awesome named Kemba Walker, who in 2011 showed us exactly what a hot conference tournament from a feisty point guard can turn into. Not saying freshman Carson is Walker, but tournaments bottle momentum more efficiently than Budweiser. If Carson starts hot, not even a big name from Muhammad will cool him down. He could go for 30 again, and if he does, watch out. And tune in. There might not be a better matchup between freshman all week. Pick: ASU, in the upset, even if the bracket says otherwise. #3 Oregon vs. #6 Washington – Oregon beat Washington twice in the regular season, which tilts the scale in Oregon’s favor. But the Ducks also recently lost to both Utah and Colorado in the same weekend, which sends whatever was constituting the weight on that scale hopping off and running in the other direction. Oregon is in the NCAA’s, win or lose, and they haven’t really done well with ultimatums this season anyways (see: Beat Utah on Mar. 9 and share the Pac-12 regular season crown). Washington can only get into the Dance with a Pac-12 Tourney win. And they have Shawn Kemp, Jr. Pick: Washington. #2 Cal vs. #10 Utah — In their two regular season meetings, Cal beat Utah by a combined 23 points. One of those came during the stretch of Cal’s season that was posthumously sponsored by the TV program Lost. Now that Alan Crabbe and Justin Cobbs are back in full swing, Utah doesn’t stand a chance of stumbling into their second win in as many days. They only won five conference games all season. Pick: Cal. Shabazz vs. Jahii, Round 2: In Round 1, Shabazz outscored Jahii (18 to 12) and outshot him (8-of-15 vs. 4-of-16), but Jahii got the last laugh (ASU won by 18). But Round 2 looks much different. First, the venue: Sure it’s a neutral site, but since their first matchup, UCLA is 7-3 in conference play while ASU went 4-7. Second, Shabazz is a much different player than he was back in January. He’s confident, assertive and is wearing those tennis-ball yellow shoes with pride. Look for those two be trading baskets well into the second half. Oregon Shooters: Can Singler regain his form? Can Dotson turn into an effectively athletic slasher? Can Artis find that mid-season spark from the outside? Can anyone on Oregon make an open three? Does Dana Altman use conditioner or his hair just fluffy like that all on its own? Do the trees on Kilkenny Court distract opposing shooters? Or do they just distract Oregon players? Is that why they shoot .313 as a team from long-distance? Why is Lazaar’s Bazaar, located on Broadway and Olive in Eugene, still advertising phone cards? Does it have something to do with Singler’s flowing locks? Big East basketball: Not only is this the last Big East Tournament ever, which is worth nothing on its own, but at the beginning of the coverage every day, ESPN runs a montage of all the great Big East Tournament moments (of which there are infinite). For any serious sports fan born after 1984, this is better than just about everything else on planet earth save Allen Iverson supercuts and old issues of Baseball Weekly. Or maybe that’s just me. 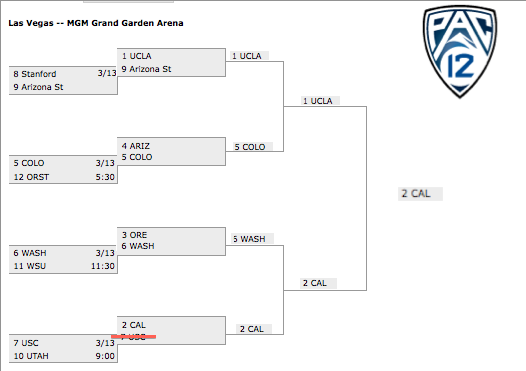 ‹ The Much Ado About Nothing Pac-12 Tourney Preview!